The most embarrassing is Atiku’s gamble to make his contest against Buhari a referendum on integrity without anything to show for it. He started by deploying Karl Rove's old trick of attacking the strengths of one’s opponent. The aim this time was to turn Buhari’s storied anticorruption profile from advantage to a liability. Atiku gained good currency by refreshing the sad reality that the current war against corruption is selective. The biggest bombshell was his allegation that Buhari diverted “N1.032 trillion” meant for arms to his relatives. Mr. Abubakar saw instant admiration when he followed the charge with an open promise to “spare no thoughts in furnishing the public with details” of the allegation. 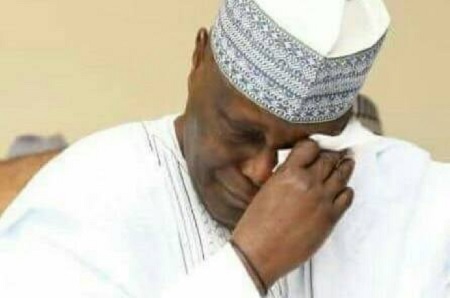 Unfortunately, however, despite pressure from Buhari’s camp and the civil society, Atiku reneged on the news-breaking promise. Nigeria has penchant for imitating America’s political pattern, quite alright, but the world is not ready for another commander-in-chief who draws his strength by parading fantasies and fallacies as facts.